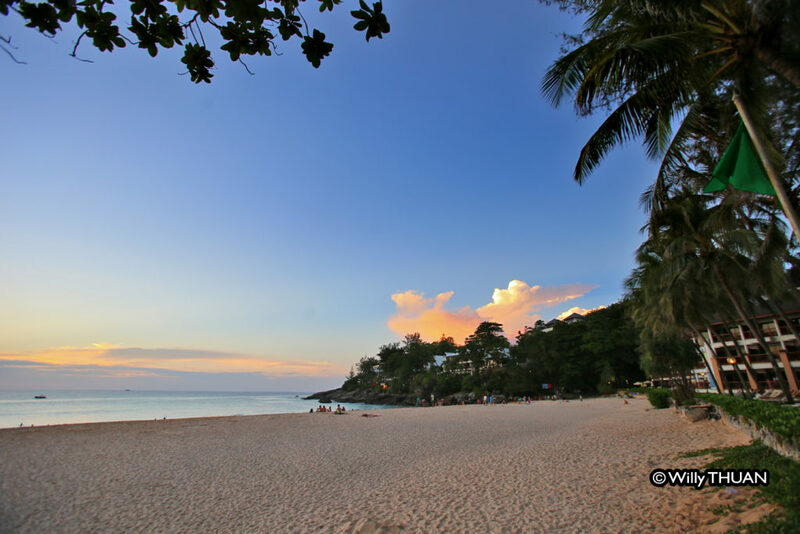 Kata Noi Beach ▷ What to Do in Kata Noi? 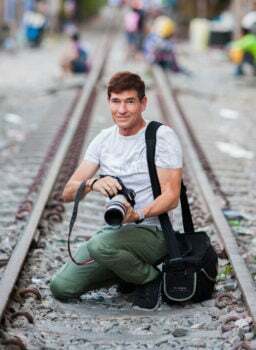 What to Do in Kata Noi? 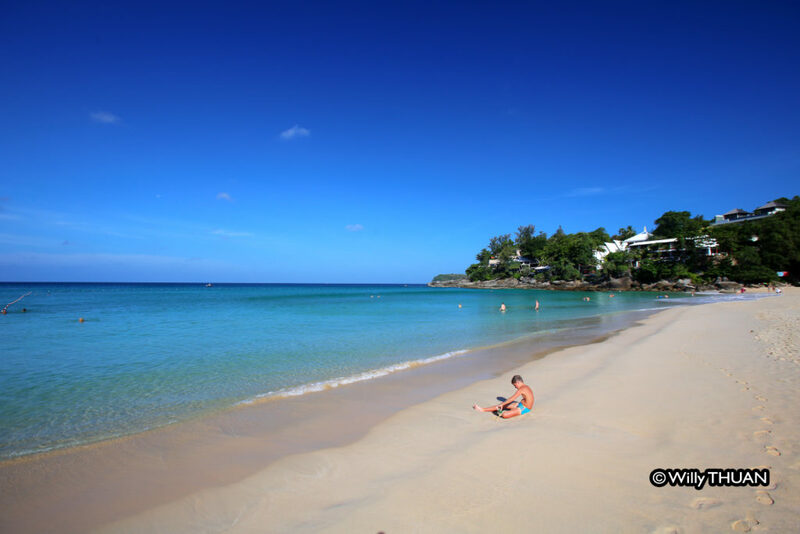 Kata Noi Beach is a beautiful sandy bay and a perfect spot if you want to be near the well-known Kata Beach while staying away from the usual tourist crowds. This strand of white sand has incredibly clear blue waters during the high season and its location ‘out of the way’ kept it relatively quiet. Unless you know about it, you probably will miss it. 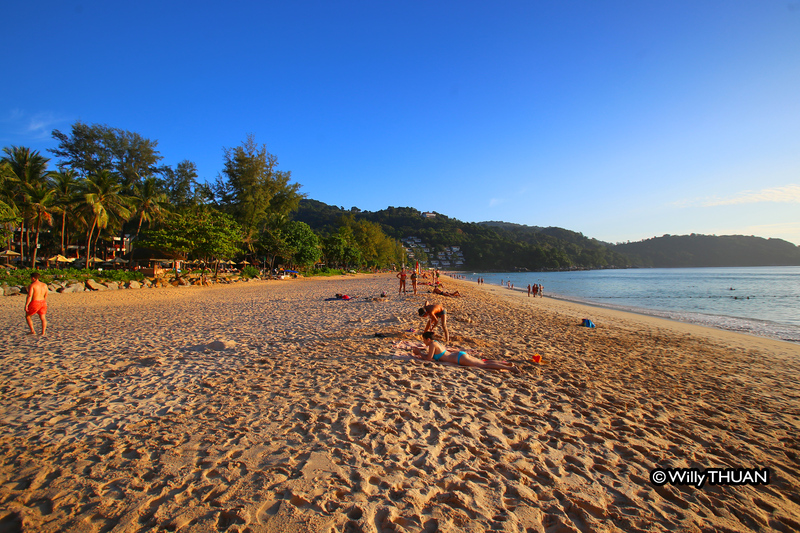 Apart from the beach and two resorts, not much is going on around Kata Noi Beach. Small restaurants, convenience stores, massages, bars and the usual tailors, all seem to be waiting for the hotel’s guests. The northern end of the beach is a favourite spot among surfers who occasionally get some decent waves for learning and practising. When the low season arrives, the bay becomes rougher, and surfing gets more challenging. 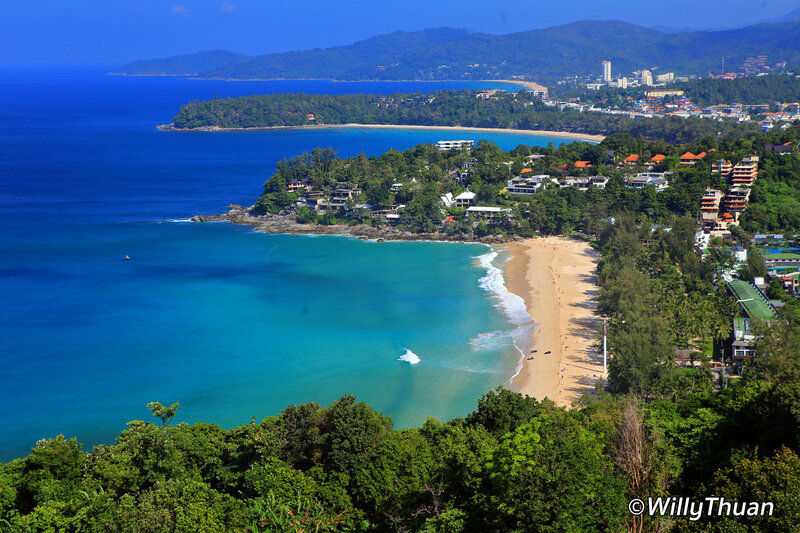 Staying at Katathani Resort, The Shore or Mom Tri’s Villa Royale gives access to one of the most beautiful beaches of Phuket. 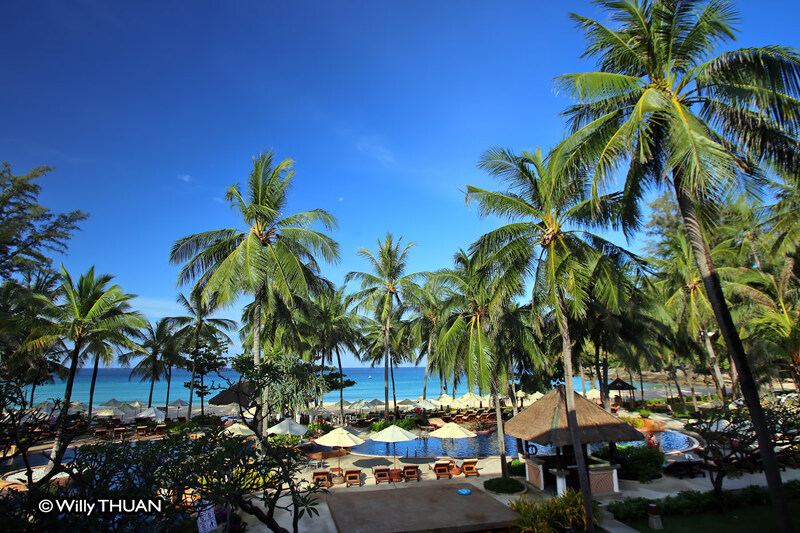 The whole Kata Noi beachfront is occupied by the Katathani Beach Resort, and all rooms happen to face the beach, this resort is trendy, and the first rooms are very affordable. 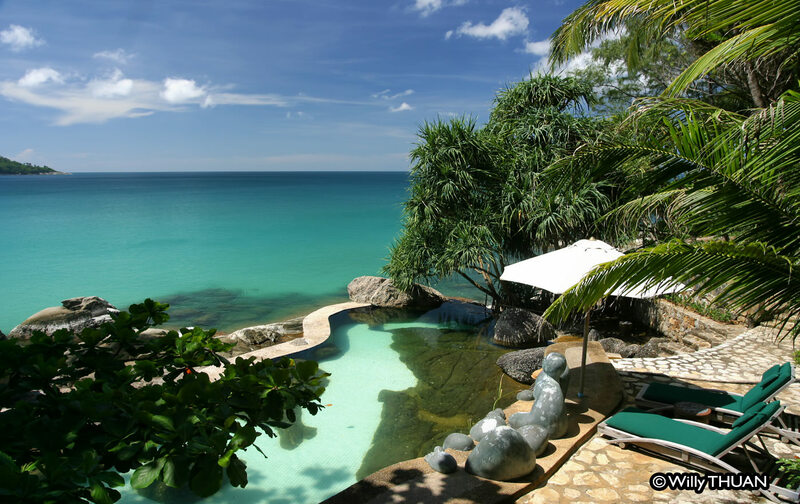 If you want to treat yourself to something unique and luxurious, try ‘The Shore‘ and their fantastic pool villas with panoramic views of the bay. 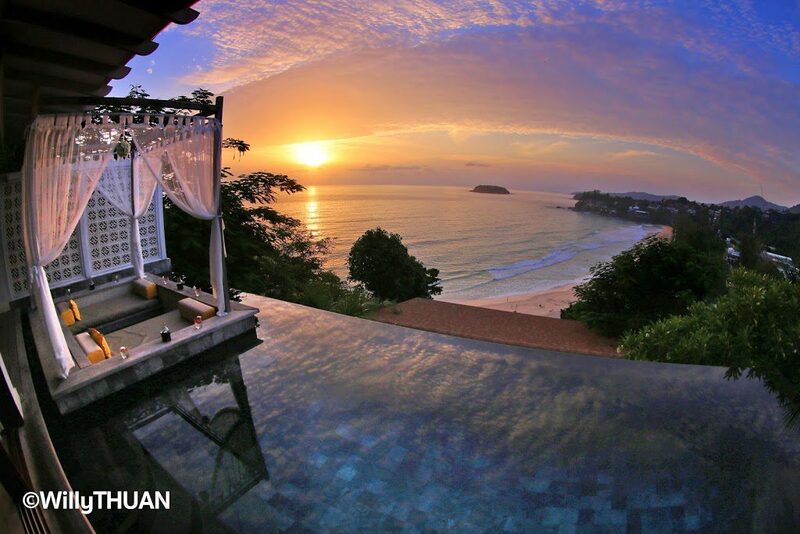 More unique and renown since decades is ‘Villa Royale‘, built on the hillside of Kata Noi northern end. This unusual hotel, surrounded by a beautiful garden, used to be a private house converted very successfully into a hotel. Each room of the original wing has its own unique design and decoration, one of them even still features its own wine cellar built into a rock boulder. Villa Royale has two small pools, the most beautiful one is a seawater pool by the sea, while the other in the main wing is fresh water. Mom Tri’s Kitchen is another main feature of Villa Royale, an excellent restaurant and probably one of the most romantic place to be on the island. A bit pricey of course, so keep it for that special occasion. 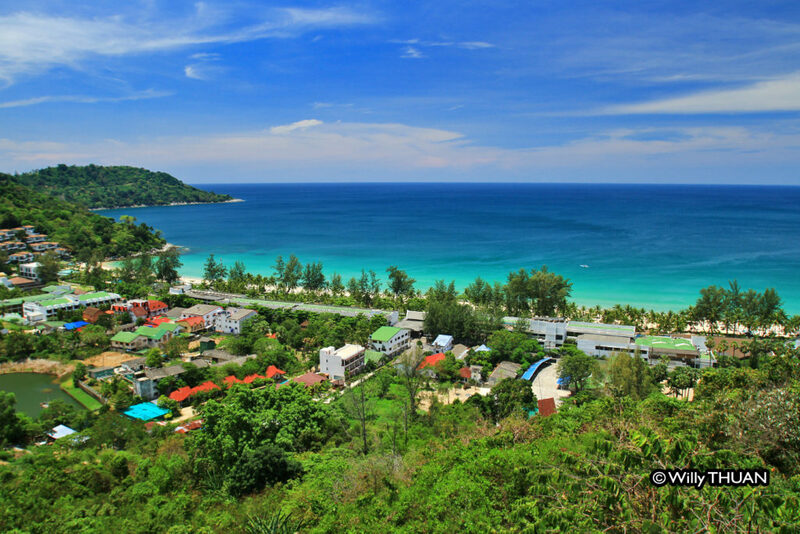 If your budget is limited, a little higher on the hill is Nook Dee Boutique Resort and just next to it, Foto Hotel. 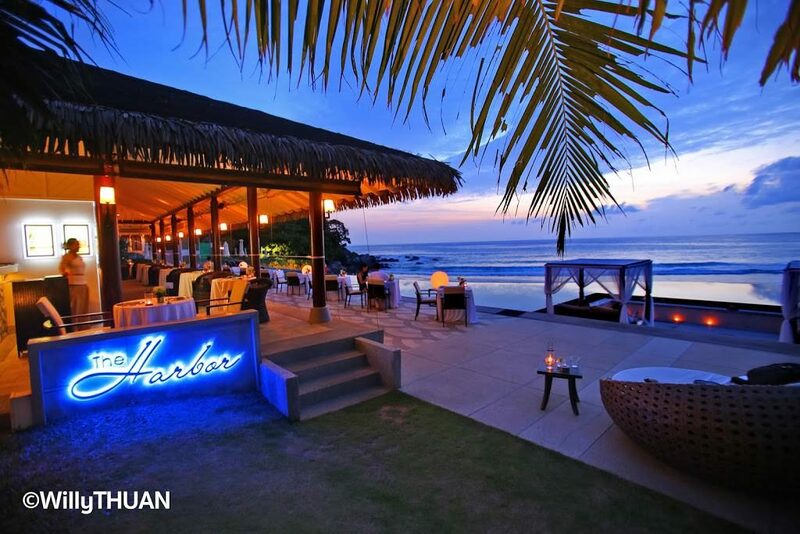 There are a few local restaurants along Kata Noi road, but none are on the beach itself. 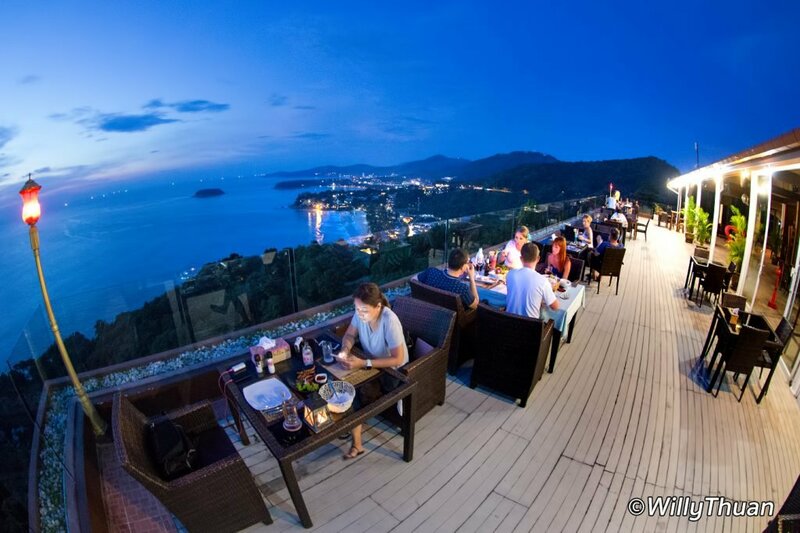 If you want to eat by the sea there are only three options; all are part of hotels such as Mom Tri’s Kitchen at Villa Royale, The Shore and KataThani. Another great spot no to miss while in Kata Noi Beach, is the line of bars built high on top of the back hill, offering spectacular views on the bay, With names like ‘Small View Point’ or ‘After Beach‘ or ‘Baan Chom View‘ you get the idea: great sunset, decent food and the best way to enjoy a beer watching the sun go down on Kata Noi Beach.